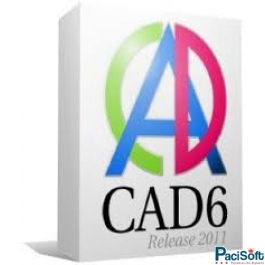 CAD6 Studio is the professional 2D/3D CAD program of the CAD6 series with all kernel functions and plug-ins for planning, construction, and visualization. 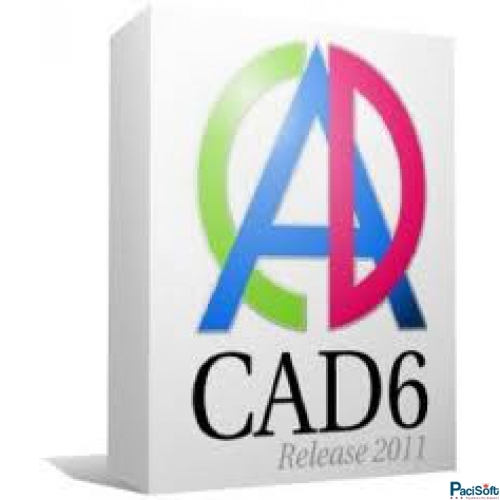 Beside a 2D drawing area the program provides 3D spaces to create and edit 3D components. Import/export filters for DXF, DWG, SHP, DBF, CSV, HP-GL/2, SVG (export only), WMF, EMF, and bitmaps (e.g. JPG and PNG) are also included. In addition to comprehensive dimensioning commands (incl. incremental/datum dimension) and trimming functions (rounding, chamfering, notching, etc.) the program features a construction aid and commands to create surfaces and contours which allow to create complex constructions in no time. For illustrative applications there are commands for color gradients, textures, text allignment, colors manipulation as well as special curve commands. All programs of the CAD6 series are 100% data-compatible.